The great capacity of Buddhas and Zen masters is entirely under his control; the lifeline of humanity and divinity is totally subject to his direction. With a casual statement, even a single word, he startles the crowd and stirs the masses; with a single device, even a single object, he smashes chains and knocks off fetters. Meeting transcendental potential, he brings up transcendental matters. Now tell me, who has ever been like this? Having opportunity and not seeing a Buddha: Great enlightenment has no teacher. Human emotions are eliminated by the sword that regulates heaven and earth. Holy understanding is forgotten in the activity that catches tigers and buffaloes. Tell me: Whose stratagem is this? Huangbo addressed the assembly and said, "You are all partakers of brewer's grain ["gobblers of dregs"; "drinkers of lees"]. If you go on studying Zen like that, you will never finish it ["when will there ever be a day for you? "; "where will you have Today? "; "where will the 'Today' (the world of nirvana) be?"] Do you know that in all the land of Tang there is no Zen teacher?" Then a monk came forward and said, "But surely there are those who teach disciples and preside over the assemblies. What about that?" 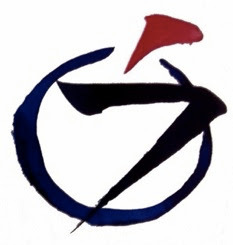 Huangbo said, "I do not say that there is no Zen, but that there is no Zen teacher." Solemnly dwelling in the sea of the world, he distinguishes dragons and snakes. Thrice he personally ran afoul of those claws and fangs. Roads being split, threads being dyed -- how bothersome! Paths divide, threads are dyed -- too much trouble. Catching at leaves and lining up flowers ruins the Ancestors. Leaves in clusters, flowers in rows -- ruins the ancestors. the cloud-and-water inscribing tool is on the potter's wheel. Vessels of water and clouds are on the potter's wheel. Tangles and shards removed and crushed, downy hairs razored off. cutting off the spring breeze, not allowing arrogance. Cutting off the spring wind, he doesn't allow exaltation. One day Huangbo went up in the hall and said, "What do you people want to look for?" And he chased them with his staff. The assembly didn't disperse, so he said, "The Great Master Nintou Farong [594-657, 5th gen] of Ox Head Mountain spoke horizontally and spoke vertically, but he still didn't know the key of transcendence. These days the followers after Shitou [700-790, 8th gen] and Mazu [709-88, 8th gen] speak of Zen and speak of the Way most voluminously. All of you are gobblers of dregs. If you travel around like this, you'll get laughed at by people. As soon as you hear of a place with eight hundred or a thousand people, you immediately go there. It won't do just to seek out the hubbub. When I was traveling, if I found there was someone at the roots of the grasses, I would stick him in the head and watch to see if he knew the feeling of pain. If he did, I could give him a cloth bag full of rice as an offering. If you always take things this easy here, then where else would there be this matter of Today? Since you're called pilgrims, you should concentrate a bit. Do you know there are no teachers of Zen in all of China?" Once when Huangbo was travelling to Mount Tiantai, he met a monk on the way. They talked and laughed together like old acquaintances. Huangbo looked him over carefully; the light in his eyes pierced people, and his appearance was unusual. The pair came to a swollen valley stream, whereupon Huangbo planted his staff in the ground, took off his hat, and stopped there. The other monk tried to urged Huangbo to cross with him, but Huangbo said, "Please cross over yourself." The other one then gathered up his robes and walked upon the waves as though treading on level ground. He looked back and said, "Come across! Come across!" Huangbo upbraided him, saying, "You self-perfected fellow! If I had known you would concoct wonders, I would have broken your legs!" The other monk sighed in admiration and said, "You are a true vessel of the teaching of the Great Vehicle." Instantly thereupon, he disappeared. One day Huangbo asked Baizhang, "How has the vehicle of the school that comes down from ancient times been demonstrated and taught? Baizhang was silent for a long time. Huangbo said, "You shouldn't let posterity be cut off." Baizhang said, "I thought you were the man." Then he got up and went into his abbot's quarters. When Huangbo was studying with Baizhang, Baizhang told him, "If your understanding equals that of your teacher, you will cut his merit in half. Only when your wisdom exceeds that of your teacher are you worthy to pass on the transmission." That essence of the school that has come down from ancient times -- sometimes holding, sometimes letting go, sometimes killing, sometimes giving life, sometimes releasing, sometimes gathering up -- I dare to ask all of you, what would be a teacher of Zen? As soon as I speak this way I've already lost my head. People, where are your nostrils? They've been pierced through! The more you abandon, the more you aren't at rest; the more you seek, the more you don't see; the more you take on, the more you sink down. Wholeheartedly discard the marvelous wonders of the principle of Buddha Dharma; let it all go at once, and then you will after all have gotten somewhere, and wherever you are it will naturally become manifest. Huangbo's instruction was undeniably marvelous, but the moment he is confronted by a monk he loses one eye. This statement of Huangbo's is poison in the water; whoever drinks it dies. I misunderstood this for twenty year; don't take it lightly. "Where weill you have Today?" Where do you think you'll find this place? "I don't say there's no Zen." This saying is hard to penetrate; it is in the same mold as "he still has habit-ridden consciousness." It is an extremely subtle saying: the path of language ends. "Gobblers of dregs." People who consume writings and sayings are gobblers of dregs. But can we say that "the oak tree in the yard" and "three pounds of flax" are dregs? These are no dregs except insofar as even practice is gobbling dregs, even travel for study is gobbling dregs. To speak of enlightenment and delusion, views of Buddha or views of Dharma, is all gobbling dregs. Today is the time when the great task is complete. No Zen teachers in all of China -- What is a teacher in the context of Zen? Is there such a thing? Is there not? Look in your nostrils. "You are all partakers of brewer's grain." Huangbo originated this expression which has become a popular saying used to belittle those who imitate old Zen masters. The literal meaning is that you eat the grain left over by the brewers after they have removed the wine and then think that you have had a taste of the real thing. "There is no Zen teacher." It is an iron rule that Zen cannot be taught. You must attain it by your own practice, study, and research. No doubt when Huangbo first said this it must have sounded astonishing to his students. His words have been handed down to the present day. The Buddha said, "In my forty-nine years of Dharma activity I did not preach a word." Huangbo also instructed: "Look at the void in front of your eyes; how can you produce it or eliminate it? Observe things as they are and don't pay attention to other people. There are some people who act like mad dogs, barking at everything that moves. Not even distinguishing between the wind that moves among the grass and the wind in the trees." Our practice is about letting go of what Hakuin called that habit-ridden consciousness. Like Huangbo said, "Observe things as they are," not as you project them to be or you'd like them to be, or you imagine them to be, but as they are. A teacher is like a mirror, encouraging you to trust yourself at the deepest levels possible. To work at the profound level where you're not holding back requires unconditional commitment. A good teacher can see where you are holding on. If a teacher challenges you, see what comes up and let that process you, rather than the other way around. Seeking after teachers is like being a dreg-slurper. Yet, a teacher is essential. When you trust and surrender to a spiritual teacher, it is not the same as guru-worship -- hoping the guru will do the hard work for you. A real teacher, a worthy teacher, will push you back on your own resources so you can eventually be free of the teacher's influence. Looking outside the self, you will not find happiness, nor will you find peace if you spend your time looking for the perfect teacher. On the other hand, I have met some students who have sat on their own for years and believe they have deep understanding when all they have really done is mistaken the smoke for the fire. Huangbo is not denying the value of a teacher -- he just does not want you to cling. True mind is the true teacher. Realize the Dharma. Realize the true mind as your true teacher. That is the vow of the Buddha. This koan offers two angles of observation. On the one hand it is possible to appreciate the grandiose statement, "Do you know that in this great empire of Tang there is not a single Zen teacher?" On the other hand, another rather modest statement also draws our attention, "I do not say that there is no Zen, but that there is no teacher." The first sentence was a great and powerful bang, but it all fizzled out with the next one. There are always people who are pilgrimaging around, attending this zazenkai over here, that sesshin over there, and visiting this and that master one after another. But if you are loafing around like that in your practice, when and where will you experience your "today," that is, the day you can say, "Yes, now I've got it!" When will you encounter that day, like Deshan who said upon his realization, "I will never doubt any more what the old master has said to me." This phrase “where will the 'Today' be?” is the heart of the koan. Where is that “today”? What you are doing is simply gobbling lees! Shame on you! "I do not say that there is no Zen, but that there is no teacher." "Zen" here doesn't refer to the practice of Zen we are doing now, but it's another name for what's normally called "essential nature," "Buddha-nature," or "essential world." Then it's quite correct to name anything "Zen" – mountains, rivers, trees, grass, you name it. Zen is nothing you can "teach" someone. You must "taste" it by yourself. That's why "there is no teacher." In fact, all a Zen instructor can do is simply push you from behind; you must stand and walk on your own feet. What's the use of today? I would have broken your legs!" We can’t learn it from you. Can you honestly say there are no teachers of Chan? I have passed Today Today. I think probably you have too. How could we not? The very nonsense of which encourages its recurrence.